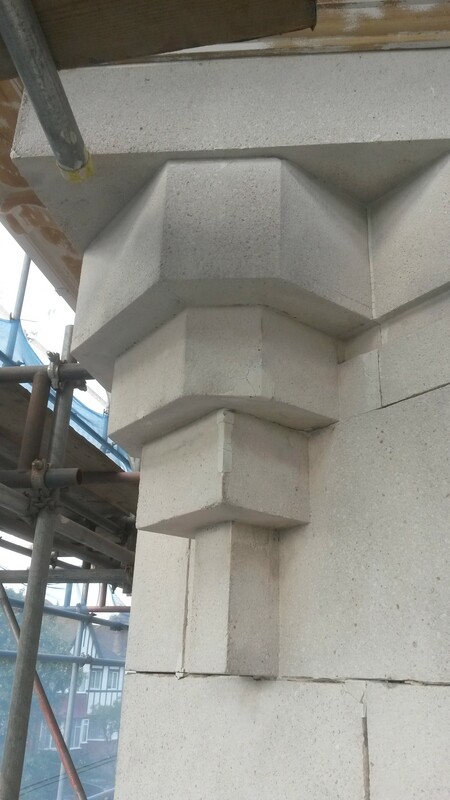 Harsh weather, natural growths and modern day pollutants can seriously damage the exterior stonework of buildings and monuments. Due to the delicate and varied nature of stone, it is imperative that the correct and most sympathetic method of cleaning be selected in order not to cause irreversible damage to the surface. 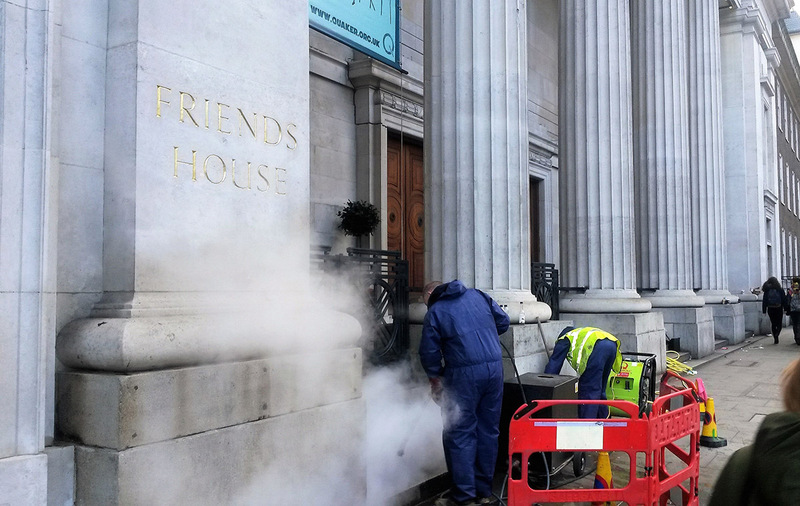 For stone cleaning, we normally suggest the use of hot steam but if the soiling or staining is not water soluble, it may be necessary to resort to chemical cleaning agents or poultices. These methods of cleaning require test panels to determine suitability and time frames. 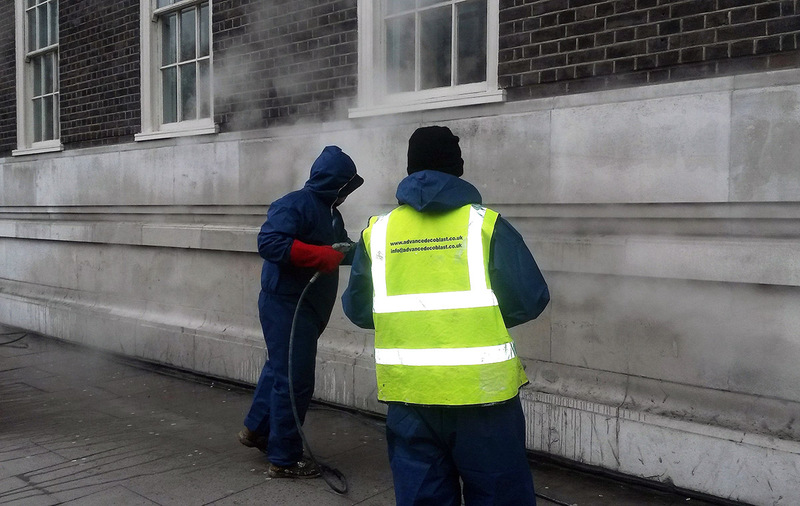 The majority of our cleaning work is to listed buildings and we work in conjunction with conservation officers to achieve the desired results. 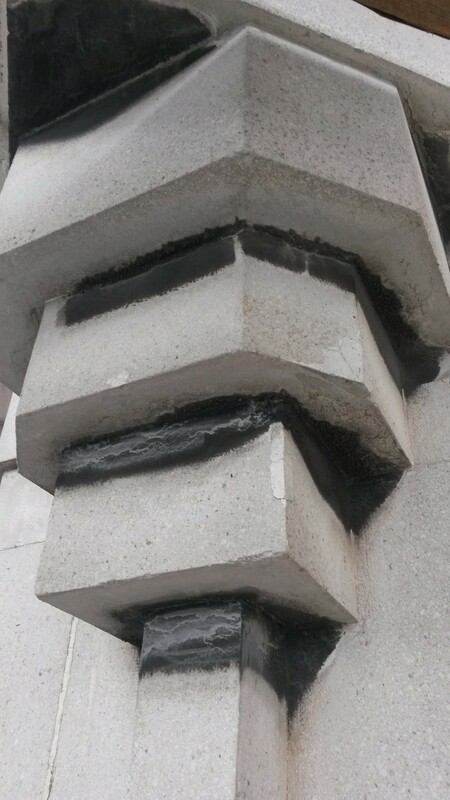 Cleaning of the stone on building façade or monuments of any type or historical period not only improves the aesthetics of the building, but also removes the patina of dirt that contains a high concentration of corrosive compounds (main factors of stone degradation) to prolong its duration. At the same time, with the cleaning, any structural defects, cracks, etc. are revealed, thus allowing to intervene promptly. Special pumps spray clean by using super-heated water on the stone surface in order to dissolve the dirt deposits. On the surface to be cleaned it is sprayed with compressed air at the appropriate pressure, low abrasive grit such as Bicarbonate of Soda in a suitable way to remove the patina in adherence. This method is quick and can be used in any season. The same technique is also used to make uniform the chromatic shades of finishes in new works. With this method, similar to the previous one, the addition of water to the abrasive grit reduces the diffusion of dust and reduces the abrasive effect of the grit on the surface of the coating material. 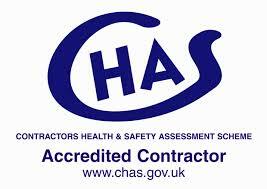 In some cases, chemical cleaning can be used very effectively, for example on exposed stone work, on the other hand, is advisable only after careful tests as the product can discolour and increase corrosion on many types of stone. This very interesting technology uses the high absorbing properties of particular poultice that are applied in the form of compresses on the surface to be cleaned to obtain a transfer of foreign substances, from the surface to the absorbing poultice. Poultice is a non-acidic blend of alkaline cleaning compounds detergents designed for removal of moderate to severe atmospheric staining in a safe and controlled manner. When applied to soiled stone surfaces, the pulling action of the poultice draws oil, dirt, harmful salts and other deep seated stains out of the stone pores and into the paste. Following a 12 to 24 hour dwell time, the paste and solubilised staining matters are carefully removed and the treated surfaces will be cleaned after with hot steam to restore their natural appearance. No scrubbing or abrasive action is required so polished surfaces, especially soft stone surface such as limestone, retain their original finishes. This intervention is very delicate but resolute and particularly suitable for facades of artistic and architectural interest. In areas where air pollution is very high, it is often advisable to treat the stone with a water repellent ideal for long term protection against oil and waterborne staining. 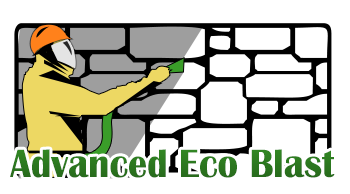 Advanced Eco Blast is specialized in all these types of intervention and will always advise you for the best solution.